Khirbet Yattir is located in the southern Judean Hills, about 12 km northwest of Arad. The ancient name is preserved in the tomb of Sheikh el-‘Atiri on the summit of the hill. 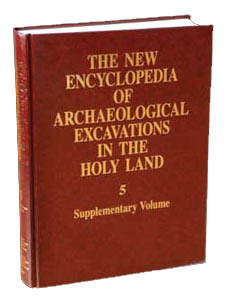 The identification of the site as Yattir, first suggested by the medieval traveler Ashtori Haparchi and much later by E. Robinson, is universally accepted. Prior to excavation, the remains of walls and vaults were visible on the surface, and four large stone columns and part of an apse belonging to a church were visible on a spur to the south of the site. The ancient houses encircle the eastern side of the hill, forming a crescent shape. Almost every house had an open courtyard with a cistern and access to caves that were used for dwelling and storage purposes. Wells at the foot of the eastern slope provided a perennial source of water for the inhabitants. Fourteen ancient winepresses have been identified near the site and four olive-oil presses within it, indicating, despite the semiarid climate, that during the Hellenistic to Byzantine periods the inhabitants cultivated grapes and olives. Yattir is mentioned four times in the Hebrew Bible, suggesting that it was inhabited during the seventh century BCE. Furthermore, I Samuel 30:27 relates that David sent spoils taken from the Amalekites to Yattir. If this passage is historically accurate, it would provide evidence that Yattir was inhabited as early as the tenth century BCE. Eusebius, in his Onomasticon of the fourth century CE, described Yattir as a “large Christian village.” Yattir is also depicted on the sixth-century CE Medeba map.